CLICK HERE to see APB’s online training courses. 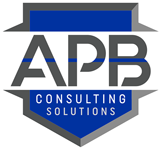 Below are the in-person training courses offered by APB Consulting Solutions. Most Courses are offered in 2, 4, and 8 hour blocks. However, some courses may require 8-16 hour minimums. Courses may also include class size minimums.